An IRS issue can be an intimidating and complex process. If you owe the IRS money that you cannot afford to pay, you may be receiving letters, visits from Revenue Officers, or you may be experiencing financial hardship because of wage garnishments or bank levies. When dealing with the IRS, the worst thing you can do is avoid the problem. If you choose to ignore the problem at some point you may end of facing federal tax liens, wage garnishments and bank levies. Once the IRS is levying your bank account or garnishing your pay it is more difficult to negotiate with the IRS. The IRS is often willing to make favorable arrangements to settle tax debts and bring the taxpayer back into compliance. A skilled lawyer can help you secure such arrangements. We meet with you in person, analyze your finances and develop a strategy designed to improve your financial situation, usually quicker than you may think. The Offer in Compromise (OIC) program is an IRS program designed to assist taxpayers with substantial tax debt that they are unable to pay the amount in full. The IRS will accept a lesser amount that you owe if you satisfy eligibility requirements. During the negotiation process, the IRS will thoroughly examine your finances to determine whether you can afford to pay the tax debt in full over the next several years. The OIC process is the most comprehensive tax resolution for tax liability to the IRS. However, it can be one of the most difficult resolution tactics to settle your debts because the IRS employees are trained to recover the maximum amount possible from taxpayers. If you are not financially able to pay the tax owed in full, you may qualify for a tax installment agreement. There are different types of installment agreement options available based on your financial situation and ability to pay. An analysis of your income, expenses, liabilities and other circumstances will help us to determine whether an installment agreement is right for you. The IRS allows some people in financial hardship to defer paying their tax bill until their financial situation improves. “Currently Not Collectible” is a special designation by the IRS for people the IRS determines cannot afford to pay any part of their tax liability. The difficult part is proving to the IRS through their requirements that you should qualify for CNC status. Even though you may feel that you do not have the ability to pay your tax debt, the IRS may disagree. CNC status can be a valuable tool in the tax representation arsenal because some taxpayers avoid paying any taxes to the IRS due to their CNC status. If your financial situation does not improve within 10 years of the IRS assessment, the IRS can no longer collect from you, unless certain limited exceptions apply. Wage levies or garnishments can be the most financially debilitating and stressful situations with the IRS. The IRS is entitled to garnish 25 percent of your disposable income or the amount that your income exceeds 30 times the federal minimum wage, whichever is less. The first step towards removing a wage garnishment is verifying that the taxpayer is in compliance. Being in compliance means that all tax returns have been filed with the IRS. If you are not in compliance, the returns must be filed before the IRS will remove the wage garnishment. But you do not want to just mail in those returns. We will fax the returns to the IRS, so we know they have been received without the normal delay when mailing in returns to the IRS. This may allow us to get the wage garnishment or bank levy released immediately upon receipt by the IRS. Once you are in compliance, we will work out a payment arrangement or put you into Currently Not Collectible Status and stop the wage garnishment or bank levy. Many individuals are under the misconception that taxes cannot be discharged in a bankruptcy. Although there are a number of requirements that must be met, personal income taxes can be discharged in a bankruptcy. However, discharging tax debt through a bankruptcy is an extremely specialized area. 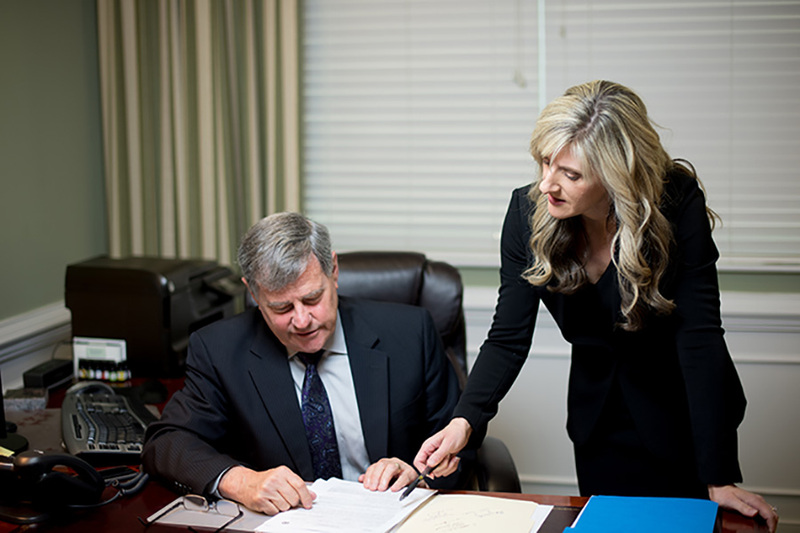 If you are considering filing bankruptcy and you owe taxes to the IRS or Virginia, it is imperative that you work with an attorney experienced in tax debt and discharging taxes through a bankruptcy. Filing even one day early could be the difference between whether or not the tax debt is written off entirely or whether you will still owe the full amount back to the IRS following your bankruptcy. If you are a small business owner and you or your business owes taxes to the IRS or state, you are not alone. There are millions of small businesses with tax problems, but the outcome of your case depends on your actions to get into compliance and work with the IRS to reach a resolution of your tax debt. Payroll taxes are the most serious type of tax debt you can owe to the IRS. If your business owes payroll tax it is important that you speak with a professional immediately. The IRS can shut down a business if they continue to owe payroll tax and in some cases, they can hold the business owner personally responsible. The majority of married taxpayers choose to file their taxes jointly. Most of those couples do not understand the possible liability that comes with filing jointly. Filing jointly allows the IRS to come after either spouse for the full amount of the tax debt, even if the debt or wrongdoing came from the other spouse. However, the IRS has recognized that there are certain situations where it would be unfair to hold one spouse liable for the IRS debt of the other spouse. Under the Traditional Innocent Spouse Relief, if your current or former spouse underpaid taxes while you were married and you did not know or did not have reason to suspect that there could be an underpayment, the “innocent spouse” may avoid the IRS liability. IRC § 6015(b). Under Separate Liability Relief, the IRS will split the liability by allocating items of erroneous income, deductions and credits to the spouse who earned them. IRC § 6015(c). Under Equitable Relief, if the taxpayer claiming innocence does not fall into one of the relief options above but meets other specific requirements they may avoid the IRS liability. IRC § 6015(f). The IRS has the power to assess penalties in many situations; the most common penalties are for late filing or late paying. Penalty amounts can be excessive. They can increase daily and quickly grow out of control. However, you may qualify for a penalty abatement. The most common type of abatement request is the first-time abatement; the first-time penalty abatement is a waiver that the IRS may grant to taxpayers from failure to file, failure to pay and failure to pay deposit penalties if certain criteria are met. Individuals involved in a business can be held personally responsible for that entity’s failure to collect and remit payroll taxes to the IRS. This penalty is equal to 100% of the unpaid trust fund taxes for each quarter. In order for an individual to be held liable under the trust fund recovery penalty, the individual must be “responsible” by having the duty to withhold and remit the payments and must have “willfully” failed to collect and pay over the taxes. The IRS takes payroll tax debt very seriously and it is important that you speak with a tax professional to ensure the lowest possible amount is assessed against you and any payments that you have the ability to pay are first applied to the trust fund portion. The IRS will want any payments applied to the non-trust fund portion of the debt, so they can collect the maximum amount from you and the business. Contact our firm today to resolve your back-tax debt. Our goal is to settle your tax debt for the lowest possible amount while remaining in full compliance with all tax laws and assisting you, so you do not create new tax debt. To speak with a lawyer regarding a tax concern, contact Smith, Barden & Wells, PC today to arrange your consultation.